Scent, as the most evocative of our senses, should be used more widely in virtual environments. 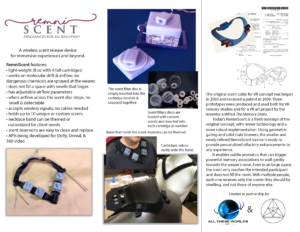 Our patented scent collar “RemniSCENT™” brings a variety of scents to a virtual space. The release of the odorants is achieved via including a BlueTooth signal in the VR interaction code. This signal goes to the collar and causes the reservoir holding the scent to be opened so that the smell can be released near one’s nose. 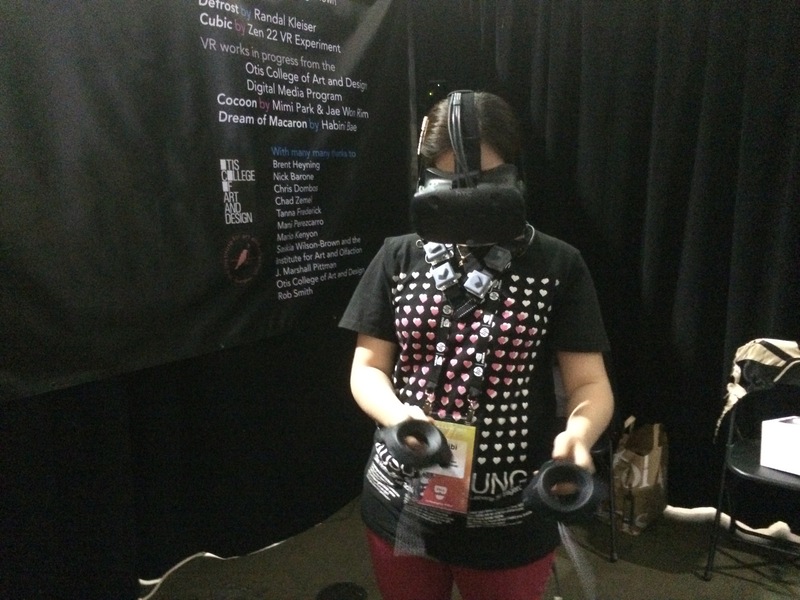 It is quiet and gentle, and does not spray any liquid at the VR participant. It is true that people have a wide range of reactions to odors, and what is pleasing to one might not be to another. Our reactions to scent are also affected by our experiences, as what happens around us while we smell a rich or novel odor contributes to the lasting memory it forms. Plus, any smell is layered on top of all our previous experiences with that smell. Olfactory research shows that scents add a strong emotional power to our everyday life, and can do the same for virtual environments, making them even more memorable. Smell is probably the least explored and least understood design challenge faced by the designer of virtual experiences. 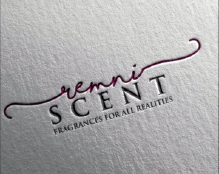 Since smells are perceived in an extremely personal and unique manner, the space designer must remember that there is no way to predict with certainty what memories or associations might be unleashed by a particular scent.  Nonetheless, scent should be an integral element in a virtual environment, and sources for odorants are more widespread than they used to be. 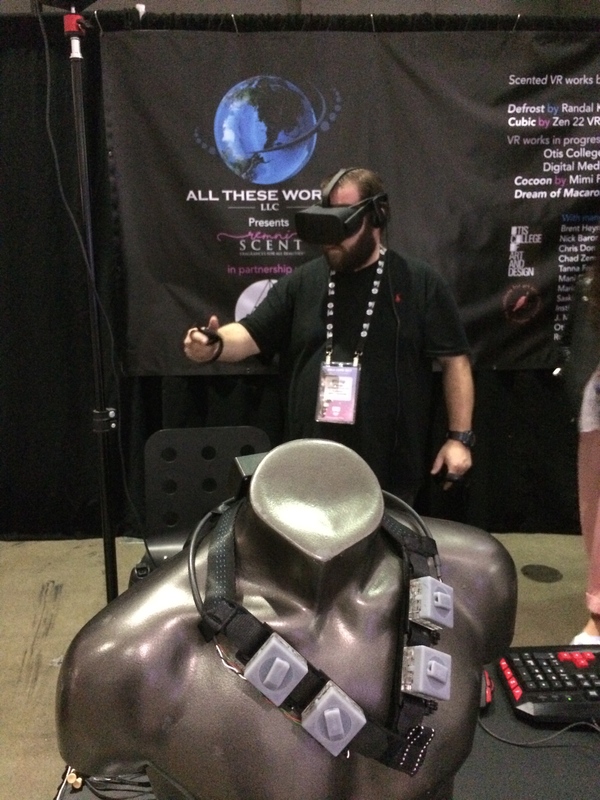 In recent years a new generation of perfumers and scent designers have emerged making stories with their creations and can design custom scents to enhance any virtual reality experience.